Want to be notified of new releases in jeromeetienne/threejsboilerplate? Here is a boilerplate for three.js. It is working on desktop and on mobile. this include android and ios. 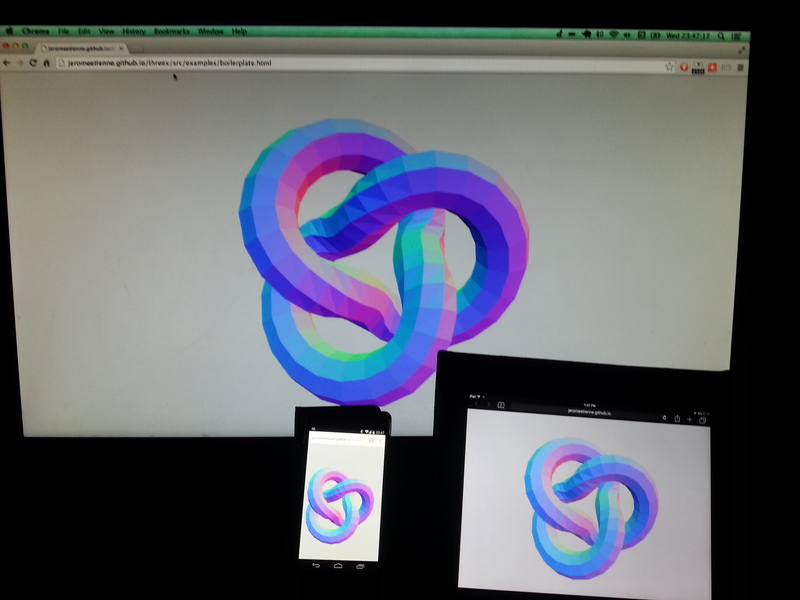 Try out the boilerplate for three.js or look at its source. If you like require.js, here is a boilerplate variant with require.js - source.